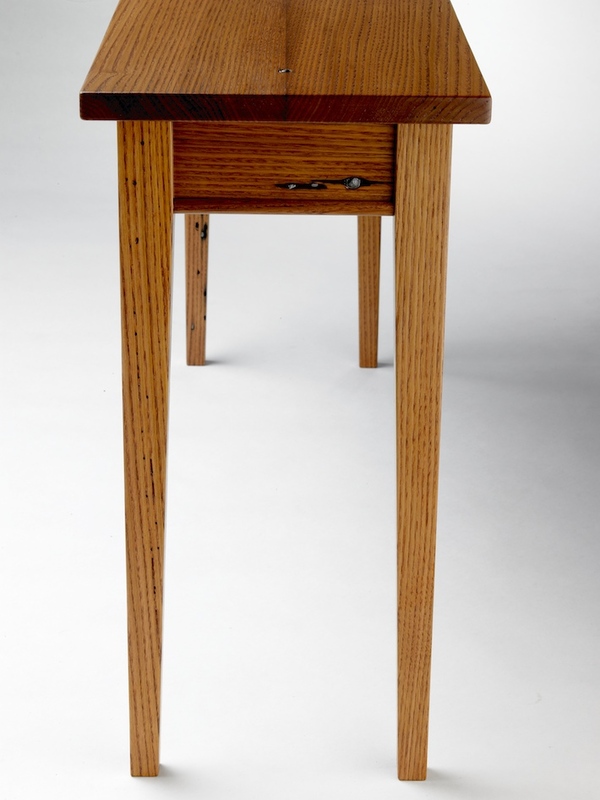 This American chestnut hall table, with its industrial flair and clean lines, is an instant focal point that inspires passers-by to stop, touch, and enjoy. Finish is stained wood with marine varnish, satin. 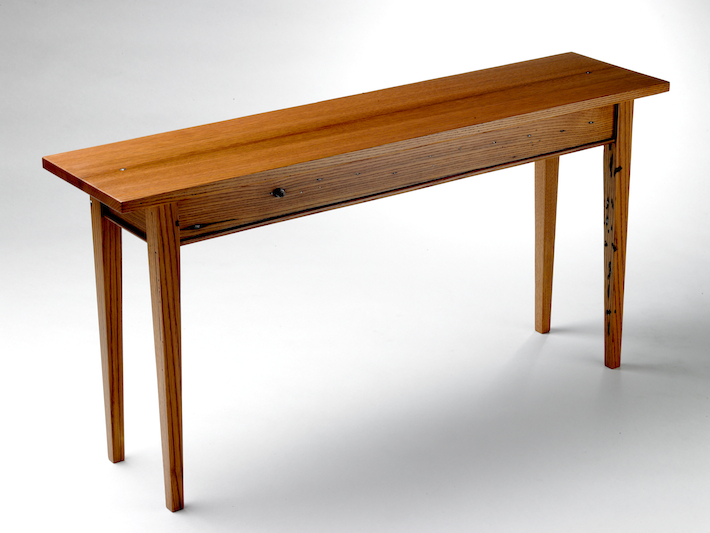 These tables can be sized to fit your requirements and can be produced in reclaimed woods such as oak, chestnut, southern longleaf yellow pine and eastern white pine. 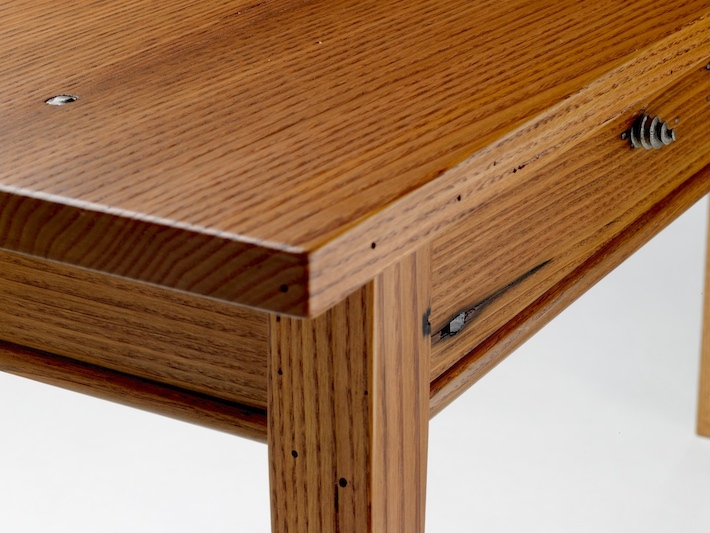 Each table is unique in its details of checks, nail holes, wormholes, and hardware.